The first board of directors I ever worked for faced—and overcame—one of the biggest challenges I’ve seen any board deal with. This particular board had oversight responsibility for a trade association managed by a founder. The founder had run into some personal challenges, and the board had to step in and run the association. They also had to recruit a new chief operating officer (that’s where I come in) to manage the organization’s day-to-day operations. The founder had to step away from the organization, and the period of time between his temporary departure and my joining the organization was about four months. During the interim period, the board president managed the association remotely, in an uncompensated role, while he also served as CEO of his own business. Needless to say, it was a difficult four months for that board president. That’s an extreme example of what a board member may be asked to do during his or her tenure. But the reality is that the time commitment required with service on a board of directors is hard to predict. Occasionally the organization faces challenges that no one could have foreseen, challenges that require a board member to give more time than anyone ever expected. No one ever tells you that when they recruit you for a board, particularly for the board of a small organization where directors may occasionally be asked to fulfill more operational roles, even on a temporary basis. Even if it may discourage some potential new directors from serving on the board, doing your best to accurately represent the workload a director has will ultimately result in fewer burned-out board members. Underselling the responsibilities to potential directors just to get board seats filled is one mistake organizations make with their board’s time. A second mistake many organizations make is not being more efficient with their board’s time when it comes to the more routine aspects of board service. In other words, sometimes unexpected things happen, and your board members may have to step in and serve in roles they didn’t expect, or (more likely) spend more time than they anticipated guiding an organization through a strategic challenge. That’s okay. That’s what boards do. But your organization can reduce the amount of time directors spend shuffling through stacks of paper in preparation for a meeting, or digging through old minutes trying to find out what the organization did a year ago. 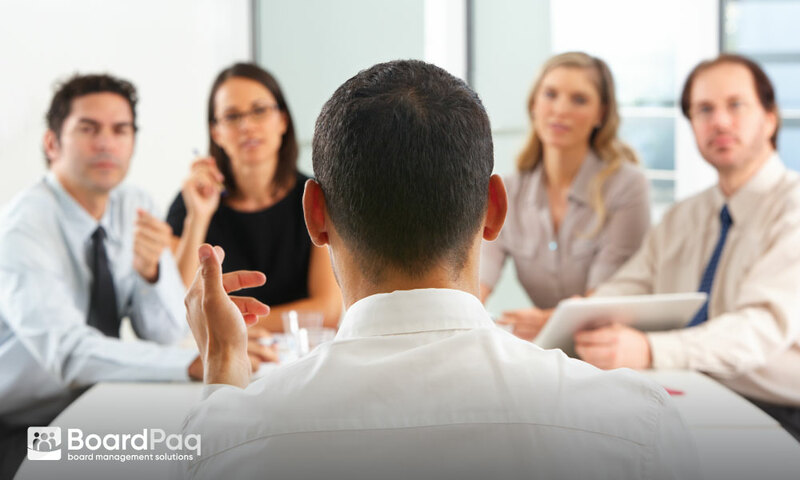 BoardPaq—the board portal of preference for over 1,000 community banks, credit unions, co-operatives, school districts, trade associations, and nonprofits—is designed to do just that. Our paperless meeting management platform makes the routine aspects of serving on a board of directors easier, simpler, and more efficient. Your directors may be asked to step in and do big, unexpected things for your organization. That might make their life a bit more difficult in the short run, but stepping up is what being on a board is all about. But before that happens, do what you can to make board service a little easier, and sign up for a BoardPaq demo today.